Mortimer’s Monumental Works Ltd has produced numerous custom granite signs and monuments for commercial buildings, civic parks and other public places. Granite is one of the most durable and permanent materials used for this purpose, requiring a minimum amount of maintenance. Although we are located in British Columbia, we can ship our products across Canada and the United States. Browse through our collection of custom granite signs and contact us for a quote; we will help you find something to meet your needs and budget. 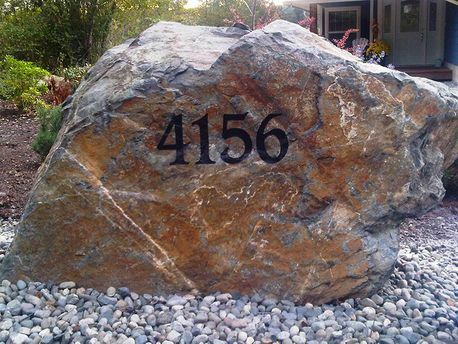 We are often asked by home owners and contractors to provide custom granite signs for house numbers or subdivision projects. 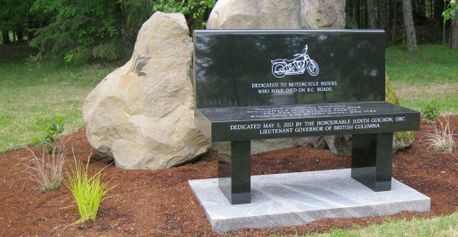 These signs range from small granite pieces to boulders that sit at the home or housing development entrance. 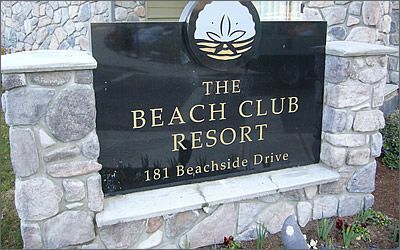 Our granite signs can be made from 3/4" polished granite or from rustic boulders. We will work with you to create a showpiece for your home. Have your company name and logo engraved onto a custom granite sign and create a lasting first impression for your customers. We supply solid granite benches in various lengths. You can choose from a straight or curved top, polished or unpolished granite and different styles of legs in a broad array of colors. Our benches are available for both residential and commercial spaces. Our staff can help you with a large variety of stone products such as stair treads, steps/risers, boulders, coping/post caps, facing, flagstone, stepping stones, wall stone, and river rock. We are able to provide granite, bluestone, limestone, basalt and sandstone materials to ensure you are able to find something to fit your needs. Contact us for more information and for pricing.